Every day your website can potentially loose hundreds of visitors who could become customers if they have the right incentive. Catch them before they leave with your customized message and turn those lost visitors into customers. 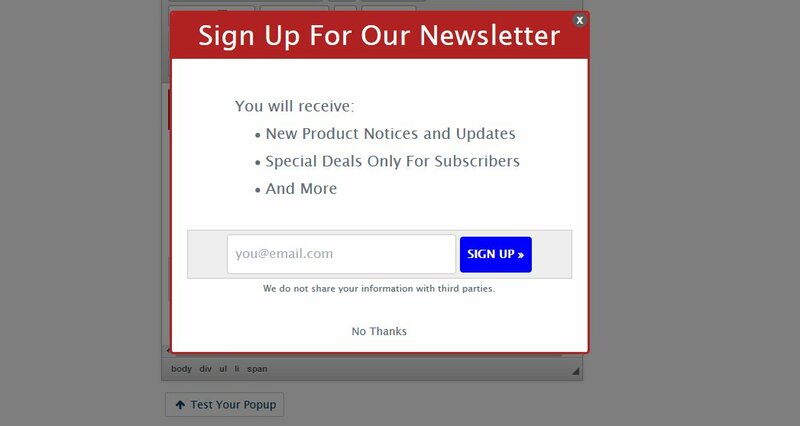 Exit Intent technology has been proven to increase your landing page conversion rates, increase newsletter signups and create new customers. 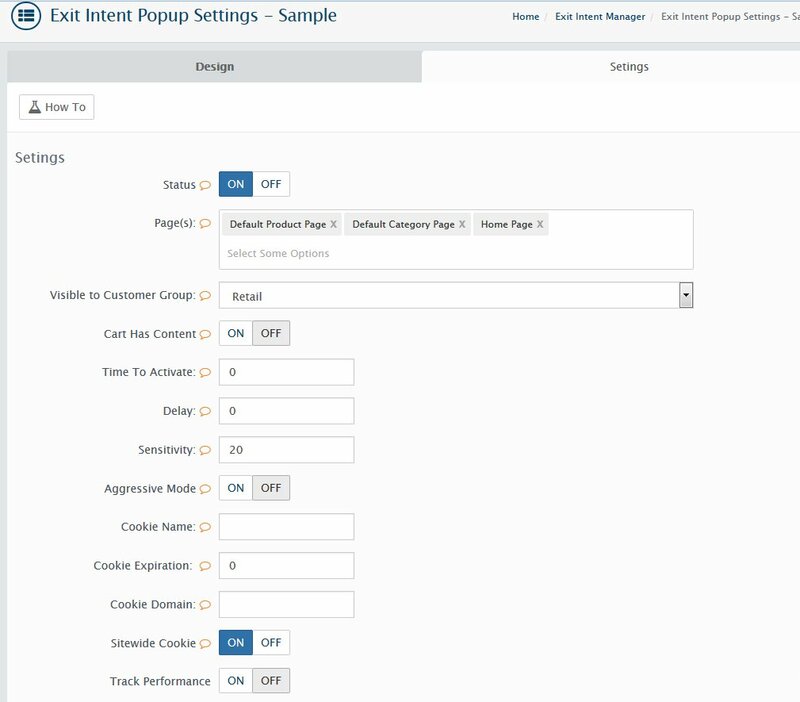 What is Exit Intent Manager? 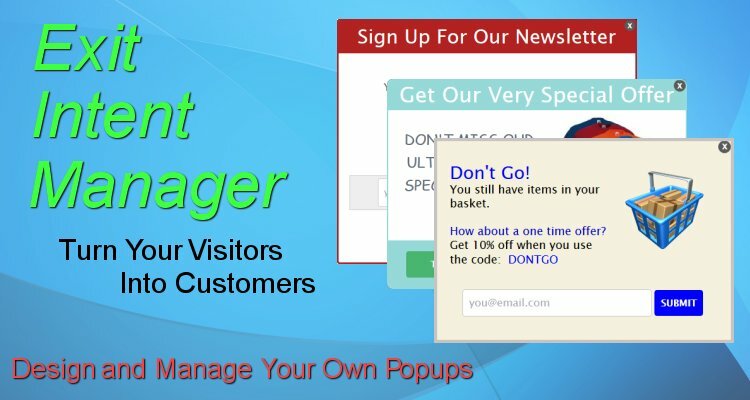 The Exit Intent Manager provides you the tools to create and manage your very own campaign to keep your potential customers from leaving your web site right within your AbanteCart control panel. 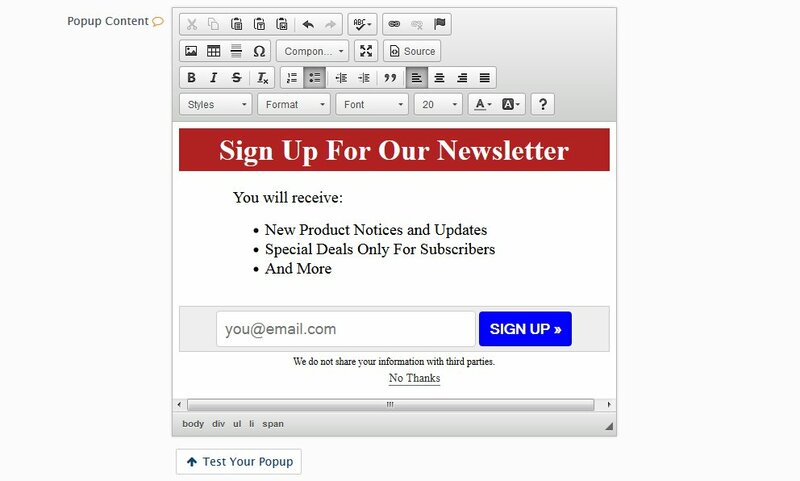 Create your own popups or use the provided templates and components as a starting point and customize to your needs. Create as many as you want. 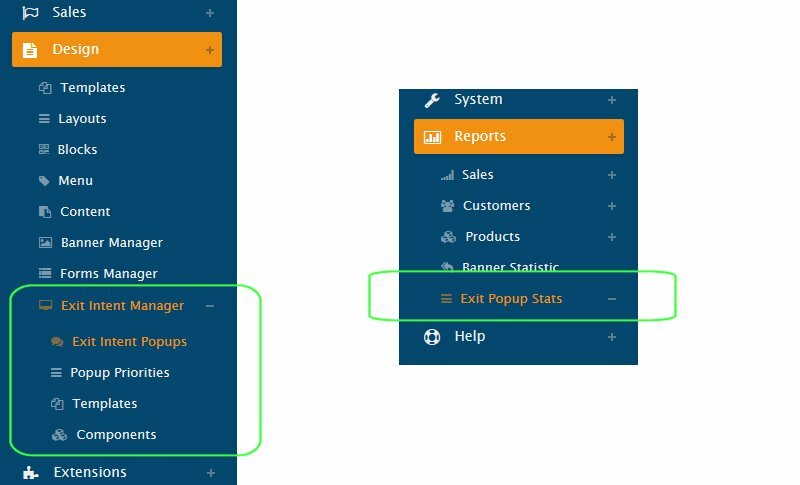 You can even have multiple popups on the same page (only one is shown per page view). 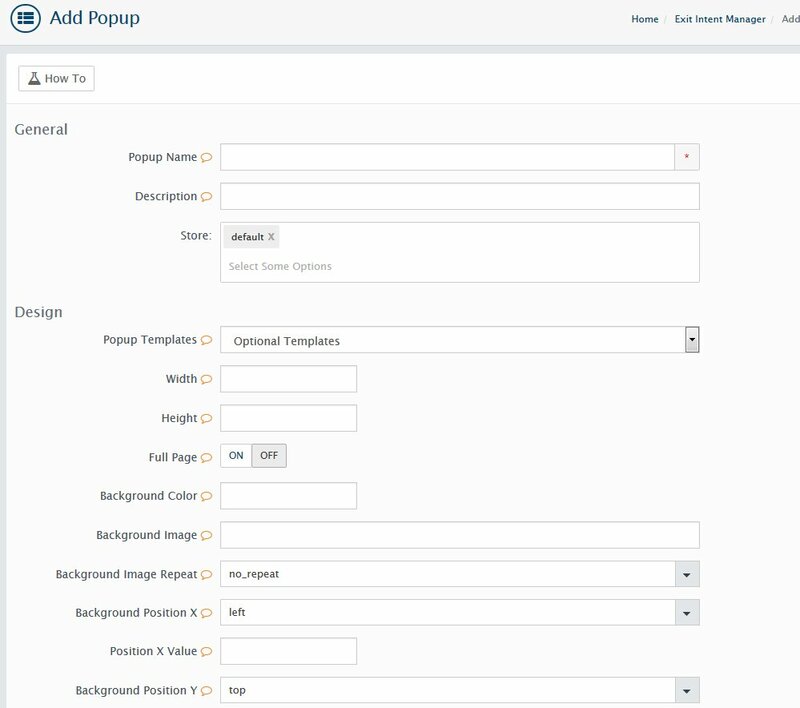 Why pay monthly fees for someone else to manage your campaign when you can do the same for a one time price? Compatible with AbanteCart 1.2.x. and higher versions. Not tested with lower versions but should work.